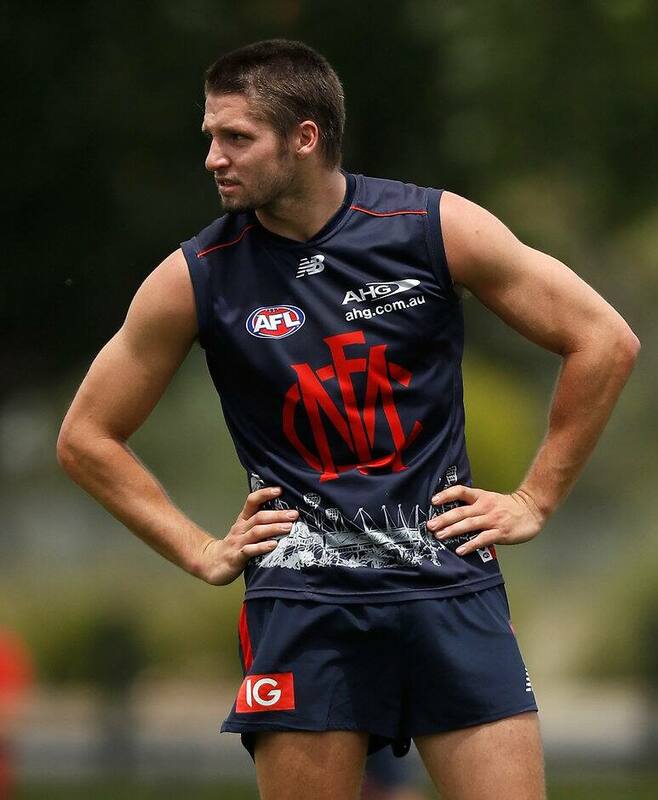 MELBOURNE young guns Jesse Hogan and Christian Petracca have streamlined their powerful physiques to have them in prime condition for a potential finals tilt next year. Spearhead Hogan, 22 in February, conceded he had blundered 12 months ago by returning unfit and has achieved his goal of losing weight this off-season. Petracca, 20, took a similarly disciplined approach in his post-season downtime to shed almost 6kg in his quest to improve his endurance sufficiently to earn more midfield time. Hogan, who has topped the Demons' goalkicking in both the two seasons since making his debut, had been determined to ensure he could cover more ground in his crucial key forward role. "Last year I came back a bit out of shape, so this year I'm in good nick and not having to worry about that is pretty handy. I'm able to focus on other things," Hogan told News Corporation. "(Having finger surgery last year) hindered my physical activity and then it all kind of caught up to me and I came back a few kilos overweight and was running nowhere near what I was capable of. "I was a bit behind the eight-ball and this year I really (placed) a premium on coming back in good nick and just being ahead of the trend. "(Then assistant and now head coach) Simon Goodwin told me last year, 'Once you do it once, you never do it again'. "I've learned from that, and hopefully it never happens to me again." Forward/midfielder Petracca was keen to add greater flexibility to his game and knew he needed to become leaner to do it. "I made a commitment to myself … I don't have the greatest endurance, so just trying to get my weight down, I thought, would be a good indicator of where my endurance was. I've definitely gotten a lot fitter," Petracca said. "It was hard – I had to tell my mum to stop cooking for me. I had to tell her just to cut my portions down a bit." Hogan, who in October rejected the opportunity to return home to Perth by signing with the Demons to the end of 2019, reinforced that Melbourne was where he "wanted to be". "Being away from family and friends was something I was going to have to sacrifice, but in the end it's worth it," he said. "We're building something special at this club and if I was to potentially leave and to miss that and watch these boys achieve whatever they achieve ... it would be pretty hard for me to watch." The Demons have also announced a contract extension with sponsor Automotive Holdings Group (AHG).